Breathing new life into Dancy Terrace, a community of historically-significant, tiny homes in Springfield. Built in 1911 by Joel H Tucker Jr, Dancy Terrace features 24 small-scale, one-story frame vernacular residential buildings (bungalows) built on a section of land midway between Main Street and Hubbard Street in Springfield, the oldest residential neighborhood in Jacksonville Florida. The development is one of the first bungalow courts built in the US, having been constructed within 2 years of Sylvaneous Marsten’s groundbreaking housing development in Pasadena, CA. Dancy Terrace is one of the largest examples of this style of housing development still standing. Now, two local Springfield residents are working to revive this historically-significant housing development hidden just off Main Street. 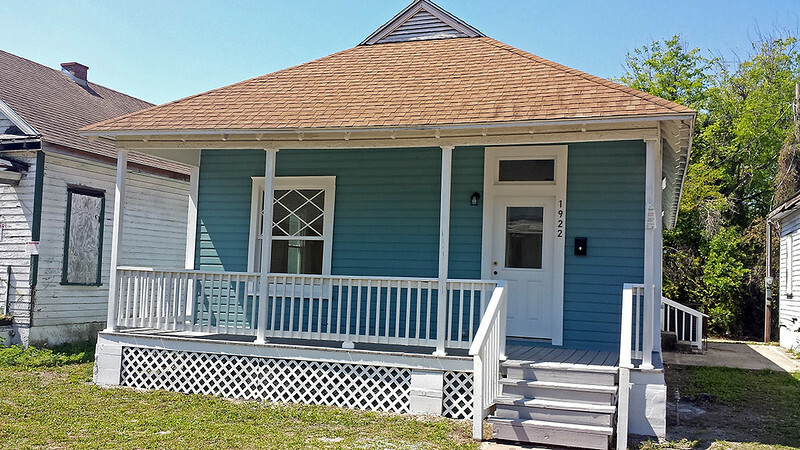 One of the restored bungalows in present-day Dancy Terrace, now available for rent. A Dancy Terrace bungalow that has been mothballed and preserved for future rehabilitation. Arranged in two rows of 12 houses each running south to north between 9th and 10th Streets, the small, vernacular frame houses face each other across Redell Street, a common walkway that runs the length of the development. 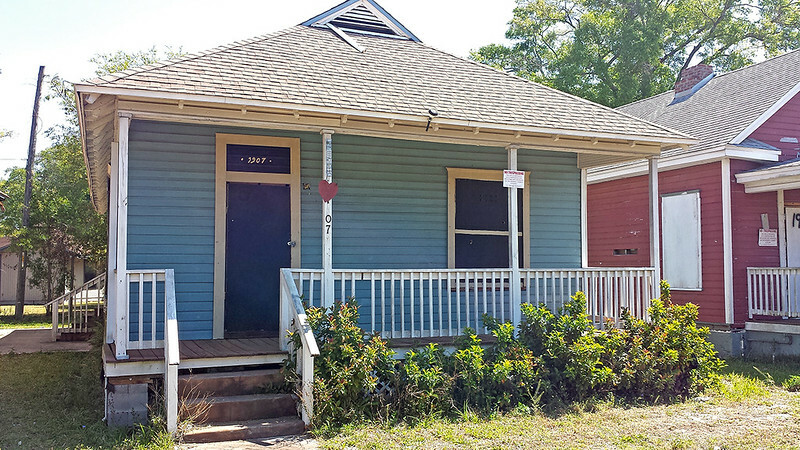 Dancy Terrace is the oldest example of a Neo-Traditional neighborhood still remaining in Jacksonville. In what is atypical of Neo-Traditional neighborhoods, alley ways are located along the rear of the lots in order to grant access for commercial deliveries and refuse collection. 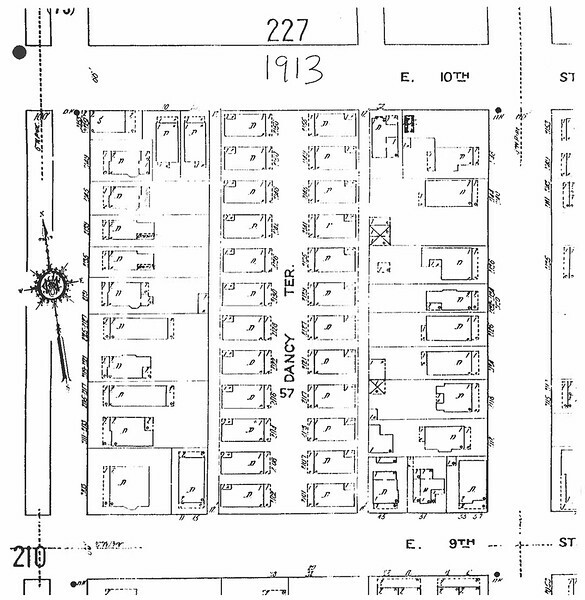 1913 Sanborn map showing Dancy Terrace shortly after construction. An image depicting a typical Dancy Terrace bungalow. Image credit: City of Jacksonville. "At first glance the houses looked nearly alike - detached one-story frame vernacular painted white. However, in the design of the court as a whole the houses had alternating front porch columns and front porch roof styles. The houses directly opposite each other had reverse floor plans. The crawlspace underneath the house, now blocked up, was originally covered with lattice board and used for storage. My grandmother kept all the old loose boards she found in the neighborhood there in case she needed to make something. My mom and her sister used some of those boards to build their playhouse in the side yard. Percy Leon Jr, mom's younger brother, and his friends used to stash rocks under some of the houses so that when they were chased by boys from the next block, they would have a ready-to-hand supply of ammunition. The small attic was available as well for storage. My grandmother kept his payment things there. As an attorney during the Depression years some of his clients could only pay him in trade. Much later on I read Shakespeare, Plato, James and Poe at age 12 from a trunk full of books that someone had 'paid' him. Each house had a front porch which ran the width of the house, and each had a small front yard area where grass, plants and shrubs grew. There was a sycamore tree in every yard. A side porch was initially exterior to the house though attached to it and was enclosed with lattice board. 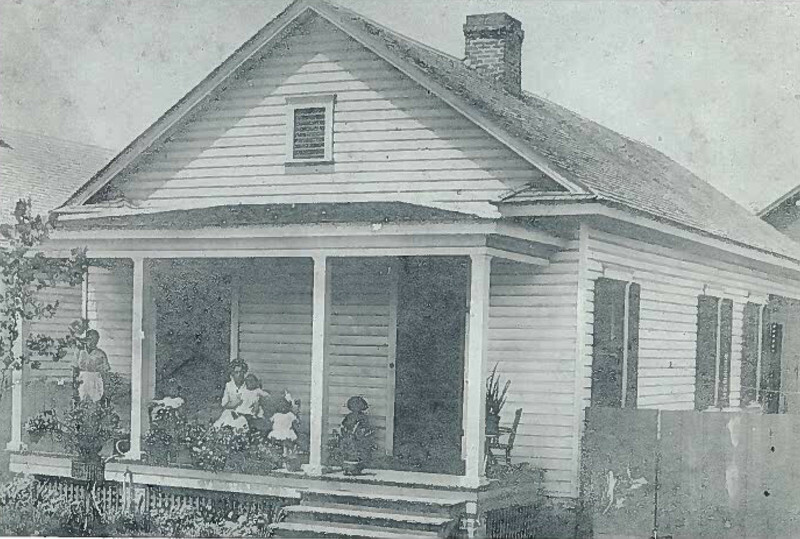 This porch has long since been absorbed into the houses and today serves as a utility/storage room, but in its early incarnation it served well as the play vacation bible school and on wash day the scene for sorting clothes which were washed in the side yard. My mother was and is a great storyteller and was a member of the Storytellers League in Jacksonville at one time. The stories she told were called 'Jack and Judy Stories'. They were about two little sisters, one about 1.5 years older than the other. The younger sister, Barbara Mae, was very much a tomboy so she was called 'Jack'. The older more 'lady-like' sister, Harriet Joan, was called 'Judy'. By the time my brothers and I first heard these stories, 'Jack' had grown up and gone north to dance. I thought to myself how appropriate. Aunt Barbara danced at Dancy Terrace. So it fixed in my mind's eye that DancyT was a really magical place where all the kids danced." 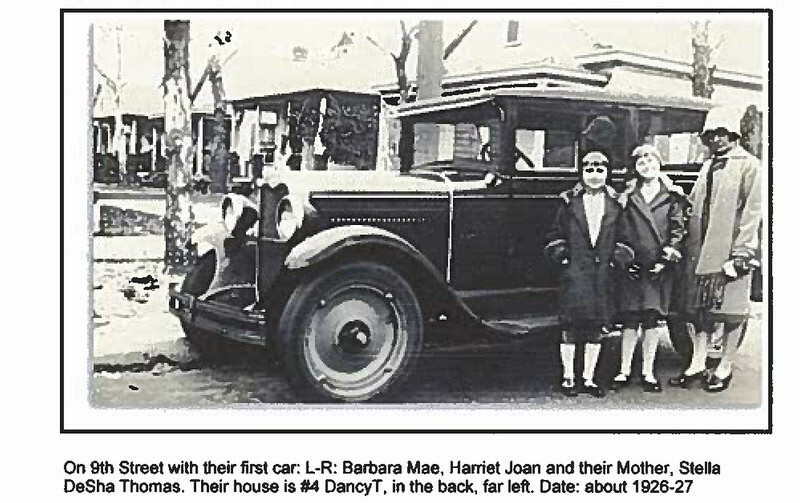 Harriet Joan Thomas and family in the late 1920’s. Image Credit: City of Jacksonville. Next: Hear from the two who are painstakingly renovating a long-forgotten bungalow court.